Upgrade ticket from 4 days to 5 days (General Admission Ticket). This ticket allows general access to the Boat Party with Monika Kruse on Wednesday 3rd July 2019. This ticket allows general access to the Boat Party with Matador on Thursday 4th July 2019. This ticket allows general access to the Boat Party with Dubfire on Friday 5th July 2019. This ticket allows general access to the Boat Party with Hernan Cattaneo on Saturday 6th July 2019. This ticket allows general access to the Boat Party with Alle Farben on Sunday 7th July 2019. - Location: at Szent István str. approx. 8-10 min. walking distance from the festival’s main entrance - Camping space: Please keep in mind that you can use 2x2 meters for 1-2 persons and 4x2 meters (for 3-4 persons) in the camping area - Duschen und Toiletten finden sich auf dem Campingplatz - Services available at the camping area: reception, left luggage, guarded locker, phone charging possibility - Du kannst dein Campingticket und Festivalticket an der Campingrezeption eintauschen - Early move-in possibility if you buy a Moving-In Camping ticket - You need a valid entry ticket to exchange this ticket! 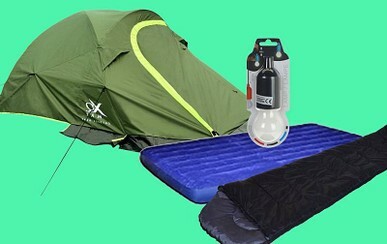 - Camping tickets have to be purchased per person and independent of the number of days you spend at the camping area. - Valid: from Wednesday, July 3rd, 2019 to Monday, July 8th, 2019. - Location: next to the festival site - Duschen und Toiletten finden sich auf dem Campingplatz - Services available at the camping area: cocktail bar, left luggage, tanning boulevard, guarded lockers and cellphone charger (for an extra fee), convenience store - Du kannst dein Campingticket und Festivalticket an der Campingrezeption eintauschen - Early move-in possibility if you buy a Moving-In Beach Camping ticket - You need a valid entry ticket to exchange this ticket! - Valid: from Wednesday, July 3rd, 2019 to Monday, July 8th, 2019. - Location: right next to the festival area - Shower and sanitary facilities on the camping site - Your caravan camping ticket is only valid for one entrance by your vehicle - You will get a caravan pass and wristbands to enter the area. The maximum number of wristbands is determined by the capacity of your vehicle (as indicated in the registration book) - Vehicles: only caravans or vehicles with fixed beds are allowed to enter the Caravan Camping. 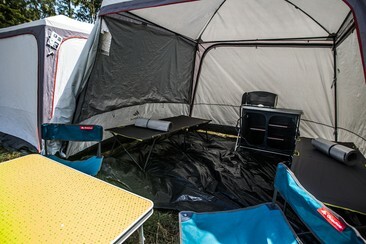 Station wagons with folded-down back-seats or microbuses with laid down mattresses are not accepted - There is no possibility to build a tent in the Caravan Camping. 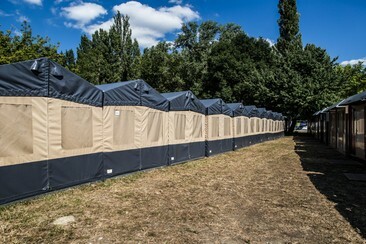 The caravan is allowed to have one, built in side tent. - Stromzugang verfügbar - Any vehicle pulling the Caravan has to be parked outside the camping area. - You need a valid entry ticket to exchange this ticket! - Valid: from Wednesday, July 3rd, 2019 to Monday, July 8th, 2019. 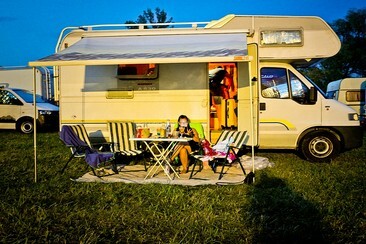 - Located in the Beach Camping - Early exchange possibility with Moving-in Beach camping ticket. - You need a valid entry ticket to exchange this ticket! 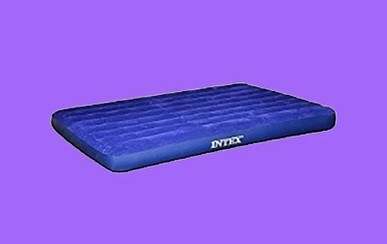 - Valid: from Wednesday, July 3rd, 2019 at 6:00 AM to Monday, July 8th, 2019 at 8:00 AM. - Location: in the Beach camping - Pre-pitched, large-scale tent (height: 2 meters) - Can fit 2 persons comfortably - Solid floor and 2 beds with mattresses - Equipped with shelf and lights - Access to shower/toilet facilities at the Beach Camping - Early exchange possibility with Moving-in Beach Camping Ticket - You need a valid entry ticket to exchange this ticket! - Valid: from Wednesday, July 3rd, 2019 at 6:00 AM to Monday, July 8th, 2019 at 8:00 AM. 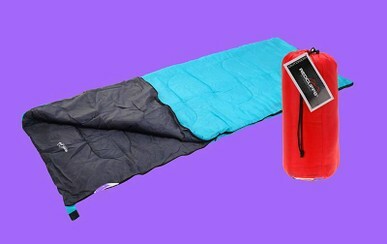 - Location: in the Beach Camping - Equipped with mattress, a shelf, curtains, lights and power outlets. 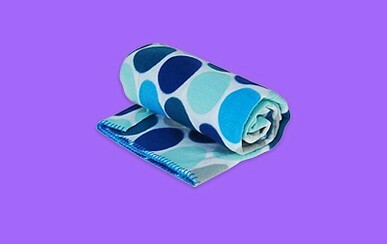 - The caravan is comfortable for 2 persons. - The caravans can be locked - No toilet or shower in the caravan - No kitchen in the caravan - Early exchange possibility with Moving-in Beach Camping Ticket - You need a valid entry ticket to exchange this ticket! - Valid: from Wednesday, July 3rd, 2019 at 6:00 AM to Monday, July 8th, 2019 at 8:00 AM. 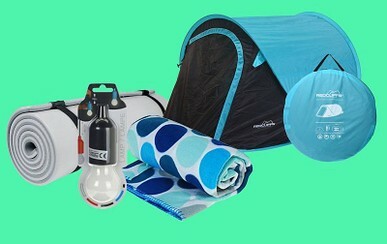 - Location: in the Beach Camping - Equipped with mattress, a shelf, a curtain, lights and power outlets. 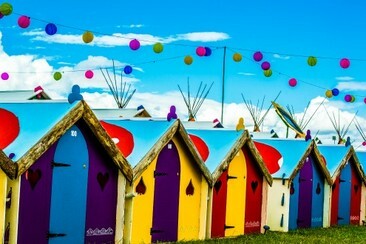 - The houses can be locked - Sanitary facilities at the Beach Camping - Early exchange possibility with Moving-in Beach Camping Ticket - You need a valid entry ticket to exchange this ticket! - Valid: from Wednesday, July 3rd, 2019 at 6:00 AM to Monday, July 8th, 2019 at 8:00 AM. 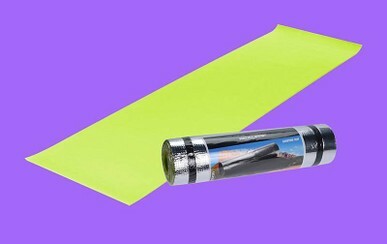 Bellepads verleihen deinem Festivalerlebnis das gewisse Etwas und bringen Farbe in dein Festivalleben. Alle Bellepads sind mit einer robusten Bodenplane, Teppichboden, Kleiderhaken und LED-Laterne ausgestattet. 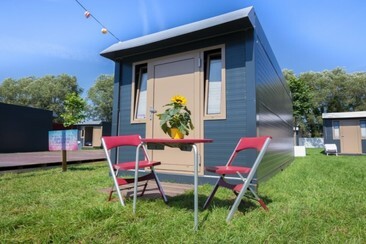 Book yourself some home-like comfort for your festival days and nights in the Flexotel village! 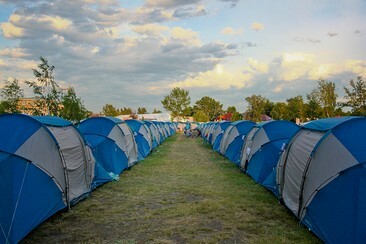 Flexotents offer you spacious tents with comfortable beds at Balaton Sound! Das Podpad ist ein bewährtes und unverkennbares Produkt. 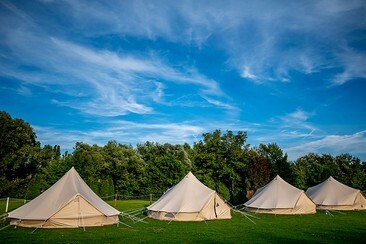 Im vergangen Jahrzehnt konnte es sich immer größerer Beliebtheit erfreuen und hat sich auf dem Glamping-Markt beweisen können. 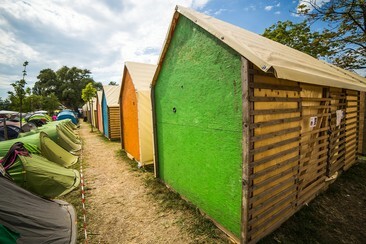 Book yourself some home-like comfort for your festival days and nights in the Flexotel village! Comfy container hotel rooms with nice beds right at the festival area. Moreover the units are lockable so you can leave your belongings safely! 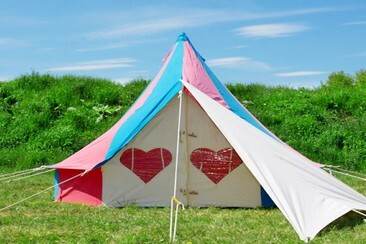 - Located in the Beach Camping - 5m Belltent - Equipped with beds, bed sheets and mattresses, lights, carpet - The tent is lockable - Early exchange possibility with Moving-in Beach camping ticket. - You need a valid entry ticket to exchange this ticket! - Valid: from Wednesday, July 3rd, 2019 at 6:00 AM to Monday, July 8th, 2019 at 8:00 AM. Das CE Napfény Hotel befindet sich am Balaton und ist zu Fuß nur 5 Minuten vom Zentrum und dem Bahnhof und Busbahnhof von Siofok entfernt. Der Wasserturm Siofok ist 11 Minuten zu Fuß entfernt. Außerdem gibt es ein Café/Bar mit einer Terrasse. Das Hotel bietet 57 Zimmer mit Badezimmer, TV, Kühlschrank, Schrank und eigenem Badezimmer. Die Zimmer bieten eine angenehme Atmosphäre mit Balkonen mit Ausblick auf den Balaton. 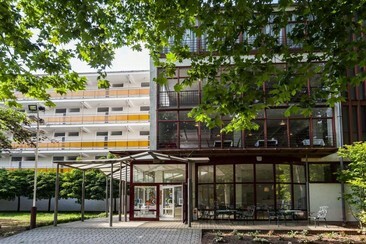 Das CE Plaza Hotel befindet sich in perfekter Lage in Siófok, nahe von Einkaufs- und Unterhaltungsgelegenheiten in einer grünen und ruhigen Wohngegend. Das Hotel verfügt über 92 Zimmer mit antiallergischen Kissen, Laptop-Safe und anderen Annehmlichkeiten. Im Granario Restaurant können Gäste ungarische, regionale und internationale Speisen sowie eine große Auswahl an Weinen und Cocktails genießen. Die Carafe Wine Bar bietet Weinverkostungen in einem antiken Weinkeller an. Das Coral Wellness Centre bietet einen spektakulären Wasserfall in einem Erlebnisbad sowie Massagesessel, eine finnische Sauna und Dampfsauna. 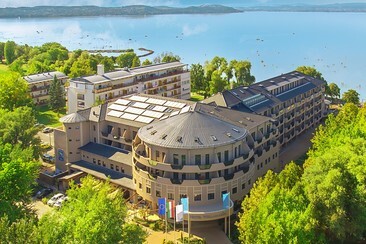 Located on the Southern shore of Lake Balaton and on the beach of Zamárdi, this 4-star leisure and wellness hotel is a great place to take in the views of the Tihany Abbey. It boasts a large spa area with a sauna and ice cave where massages can be enjoyed, a great indoor pool and views of the garden. Room range of superior to deluxe and also apartment suites with most offering a lake side view with a balcony. Guests can enjoy a range of Hungarian traditional dishes in Scala Restaurant as well international cuisine from a buffet or an a la carte menu. Meals are also served on the terrace in nice weather and a bowling alley is also on site, guests can enjoy a drink at the bar. 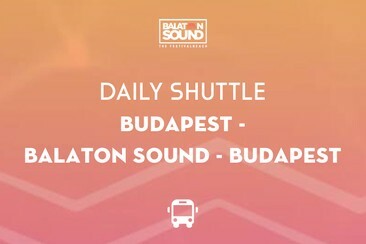 This transfer service gives you the chance to reach easily the festival from Budapest, or arrange your way back to your departure airport or station according to a preset timetable. This transfer service gives you back to your departure airport or station according to a preset timetable. This service is provided by Festival Travel International Ltd., an official partner of the event. 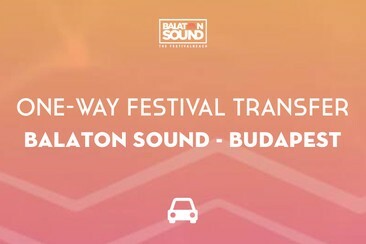 This transfer service gives you the chance to reach easily the festival from Budapest. This service is provided by Festival Travel International Ltd., an official partner of the event. This transfer service gives you the chance to reach easily the festival from Budapest, or arrange your way back to your departure airport or station according to a preset timetable. This service is provided by Festival Travel International Ltd., an official partner of the event. 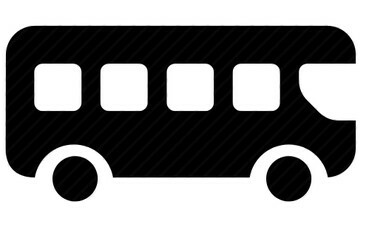 Travel in comfort to your festival destination by coaches with air-conditioning, heating, reclining seats, etc.! Take note of your departure time and date, and we'll see you there for a smooth journey for you to enjoy a fantastic weekend away. 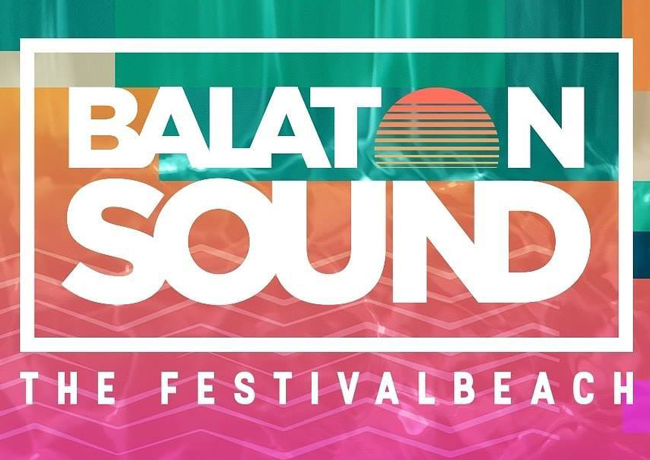 Make sure you can party carefree at Balaton Sound and put your valuables in a safe. Security cameras will keep an eye on the lockers while you’re gone. The lockers are accessible day and night.